With the G3+ Crimp Force Monitor, all data is processed and stored automatically. Enforces & stores all QA checks. 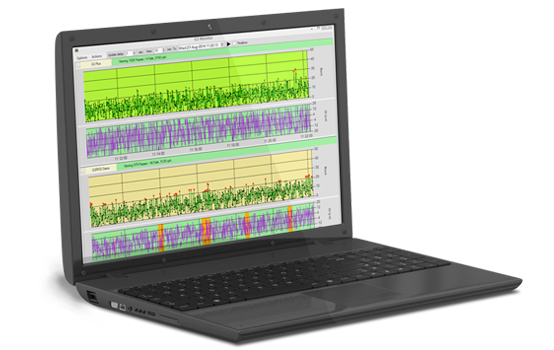 Real-time crimping data can be accessed from your desktop, tablet or mobile phone. The G3 can use the legacy setup, this is where the operator or supervisor teaches the CFM at the start of each production run. Enforced quality checks for Crimp Height, Pull Force and Crimping Force can be scheduled by time or number of crimps. Production will be halted until assigned check have passed and verified by the system. > All data stored centrally with easy recall of data using Report Server. All crimping, tooling , materials and test data is stored centrally for 100% traceability providing a comprehensive production certificate for all production. Easy recall of data using Report Server. Mobile web interface for production technicians provides real time information of the status of all production and shows any pending issues. Information can be made available anywhere with an internet connection, making this a powerful strategic management decision-making tool. Each press can be calibrated and analysed simply by using our calibration spring system to check suitable performance. This data is stored to the central database. The G3 plus can be optionally fitted with up to 4 RFID channels for automatic parts and tooling verification. Tooling can be checked for its “in-service” status. Circuitmaster has extended the Crimp Force Analyser (CFA) to collect more production data and enable communication between the operator and databases more effectively, this new enhanced unit is the G3+ Crimp Force Monitor. The CFA has been at the heart of real-time quality control for many years, however, there has been an ever growing need for further monitoring of the assembly process at the press. 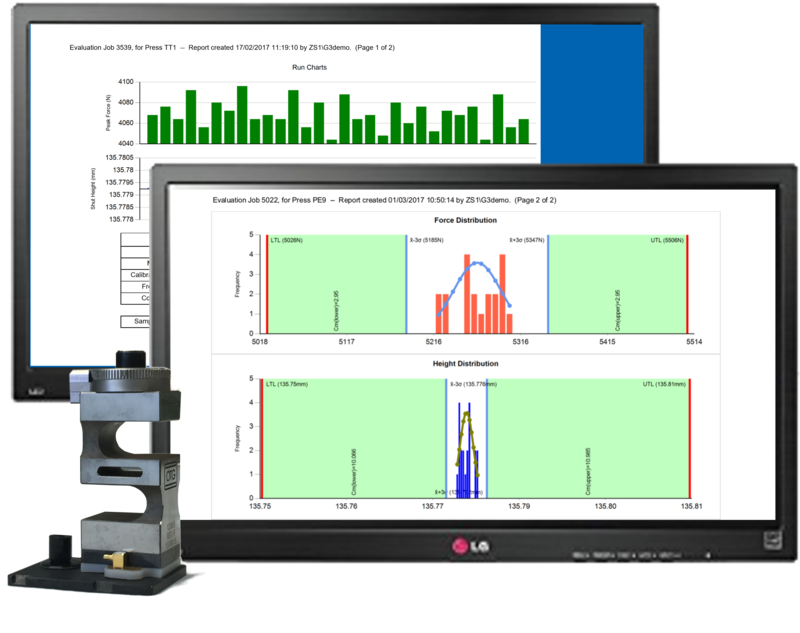 The G3+ Crimp Force Monitor addresses these issues by using the powerful evaluation unit to combine all data collection requirements in one compact cost effective system. The system has been designed to be easy to install and operate so any production down-time is kept to a minimum. The system is designed to start working in a factory from day one as it can be used the same way as a standard CFA. As more production data becomes available, more of the systems features can be enabled until a comprehensive fully closed loop control system is established. Information is held centrally, this can then be passed to the CFA, removing the operator from “teaching” the CFA the job and thereby reducing operator errors. 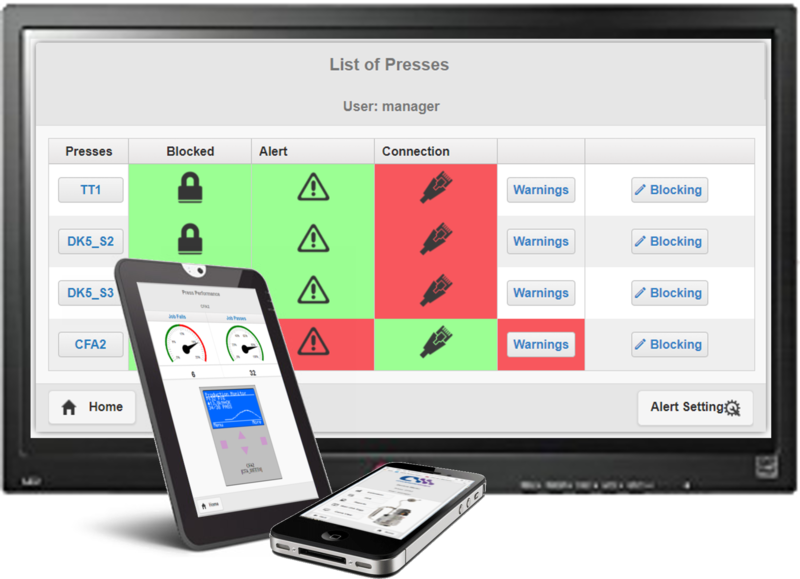 CrimpView shows real-time overview of all presses on the system, quickly alerting supervisors of any potential issues on the shop floor. Reports are easily run showing individual crimping, job or engineering data of both live and historic data. 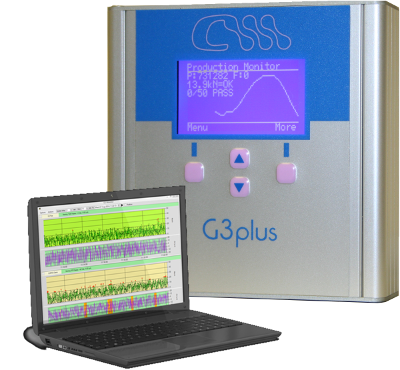 The G3 plus has been designed to work from day one and can be used the same way at our standard CFAs. The G3 plus is further extended by the use of Crimping data sheets (CDS). 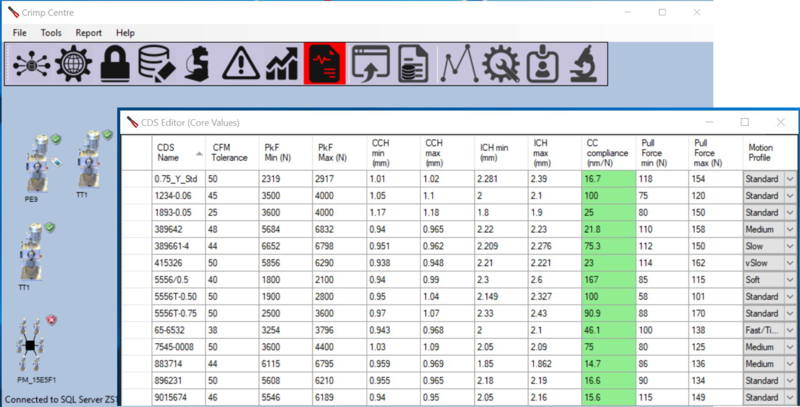 Key parameters are held in a database including Force limits, Match limits, Crimp Height and Pull Force measurements. Many terminal manufacturers give details on the desired crimp height and pull forces for any given terminal. These can be entered straight into the CDS editor along with any other known data. The G3 plus system stores every crimp produced against a job number along with quality checks. This information can be used to create a Crimping Data Sheet. Using our Engineering report to ensure that the production job was good the system will analyse the production and suggest limits, these limits can be written straight to the CDS. Crimping Data Sheets can be called by any press on the network. Quality checks at regular intervals ensure that the production continues within the correct force window. When the CFA is running with a CDS each crimp is evaluated against this data. If quality checks are taken these are also analysed, if any of these limits are exceeded production is stopped until the problem is resolved. As core data is loaded to the CFM from the database the operator no longer “teaches” the analyser, reducing operator errors and bad production being called good. If the Engineer already knows all or some of the limits in which a job should be run these can be manually entered into the CDS. Data gathered during production or sample runs can be used to amend these limits. Crimp Center software has the ability to take production data and suggest limits for a particular job. These can then be turned into Crimping Data Sheets and amended if necessary. Using quality checks the CDS can be used on a number of press in the production cell. If the force or match limits are exceeded but the crimp and force measurements are correct the system allows an offset (which is kept with the CDS) for that press/job combination. 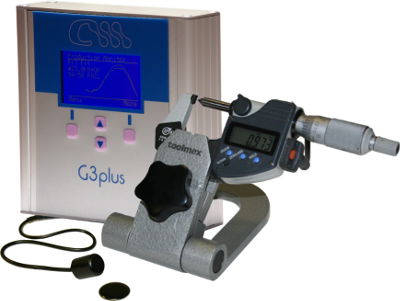 The G3+ integrates to our network enabled Micrometer and Pull Force measuring equipment. Customer retrofits of existing equipment can be possible. 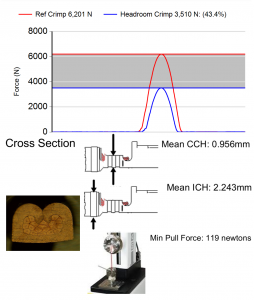 Correct crimp dimensions and pull force must be measured before production can continue. All test are stored centrally. The G3 Plus collects all data in real time. With an integrated micrometer and/or pull tester the system will monitor and stop the press if production fails to meet quality criteria. Quality checks can be scheduled after a number of crimps have been produced or at a regular time of day. Once the limit has been reached production is stopped and the operator is informed of which checks to carry out. Each CFA can have its own quality checks set. Each cell within a production facility can have one or more test stations. All checks are stored against the production job. Using RFID tags automatically assigns the right job to the checks being taken. The crimp centre software shows an overview of press on the network. It is easy to see if a press is running, idle or waiting to do checks. This along with our Crimp View software enables Production control staff to easily identify problems on the shop floor. All data stored centrally with easy recall of data using Report Server. 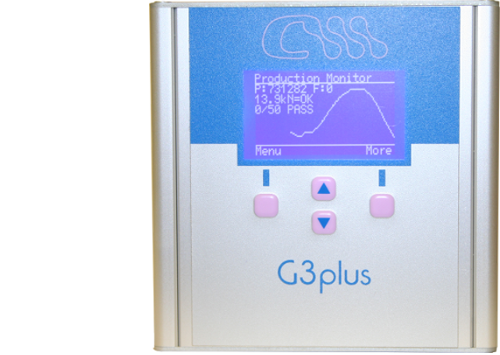 The G3 Plus collects data in real time storing it in an SQL database. Using the stored data a number of different reports can be generated for both real time and historical data. Each job is given a unique reference number, this number is used to recall all data associated with it. Reports can be updated to show current production as it is produced. With the mobile web interface, reports can be produced on any network enabled device (ie tablet, mobile phone or PC). Engineers can view reports in real-time to see issues that might exist. The reports provide a comprehensive historical proof record of all production stored in the database, enabling managers to make dynamic, well informed business decisions. Detailed reports are generated for each press evaluation carried out, giving management a clear indication if a press is causing excessive variation. If using the G3 plus with RFID detailed maintenance and usage reports are available for each applicator registered in the database. This gives companies valuable audit information. Mobile web interface to keep supervisor staff informed of all production issues. The G3 plus systems mobile web interface can be used anywhere within the organisation. The interface shows an overview of the status of all press on the system. Any issues are clearly identifiable. Intuitive navigation provides easy access to diagnostic information and corrective action available. Each Crimp Force Monitor on the system is directly accessible from the web interface. The CFM can be set up for production and supervisors can override a device so production can continue, with full traceability. A full set of reports for each press are also available. Performance can be seen for the factory as a whole or individual press. Each press can be calibrated and analysed simply by using our calibration spring system to check suitable performance. The G3 plus an be optionally fitted with up to 4 RFID channels for automatic parts and tooling verification. Job reference cards can also be read. Tooling is checked for its “IN-SERVICE” status and usage counts are incremented automatically. Crimping force is linked to the applicator automatically, allowing applicators to be protected from over-force cycles. Any issues and the applicator is blocked from being used. Parts can be checked for their correctness. All the data is stored centrally. A clear graphical web interface leads the user through the process via WIFI or wired TCPIP connection. Once completed the results and reports are immediately available at the press on your device for evaluation. Press evaluation is an essential part of identifying presses that are introducing variation into the process and allows for quick identification of machine variation and thus product variation. The spring introduces a repeatable load on the press which is not influenced by any other variation other than the press. Force variation determines how stable the overall press and CFM are performing and indicates if there is a problem. the data is automatically stored centrally in the SQL database for further historical analysis. Comprehensive reports can be easily generated and displayed anywhere in your organisation at any time using standard web browsers.